The B.A. (Hons) degree aims to provide a strong foundation of theory and practice in specific fields; that will enable students to translate their university experience to the world of work. Special emphasis is laid on the development of critical thinking, analytical ability, written and oral presentation skills. 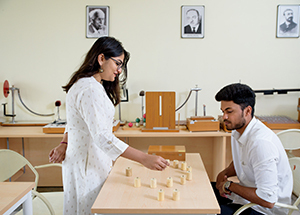 This is a vibrant and dynamic undergraduate programme, supported by ongoing research at the School of Social Sciences & Humanities, and thus, giving students a unique opportunity to gain solid grounding in cutting-edge theories and research. 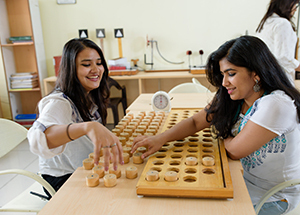 In addition to different combination of subjects, students specialize with ‘Honours’ degree in one of the areas: English; Psychology; Economics; Sociology and Journalism. 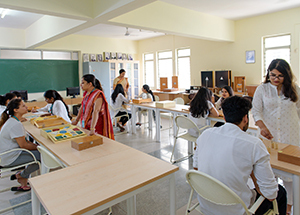 However, the specialization is offered on the basis of minimum number of students opting for a subject-area. For admission to BA (Hons) programme, candidates must have passed in 10+2 / PUC or Equivalent examination (either through 12 years of formal schooling or through open school system) from any recognized Board/Institution in India or abroad.